Once the local elections had been put to bed, talks about how to make frictionless trade a reality began in earnest last month with politicians getting to grips with the knotty customs issue. The Government has made it clear for some time now that the UK is leaving the Single Market and the Customs Union. It says it needs to agree a new customs arrangement with the EU to ensure that trade is as seamless and frictionless as possible. Coming up with a workable, cost effective, efficient and politically palatable solution though is not easy especially considering that the number of customs declarations could increase by 200m after the UK exits the EU compared to the current level of 55m. This month the Chancellor Philip Hammond argued in favour of a 'customs partnership' with the EU. According to media reports it has the backing of Theresa May and would mean the UK could set its own tariffs although these would be expected to mirror European Union customs rules. A 'customs partnership' would see the UK collecting tariffs on behalf of the EU for any goods coming to the UK that were subsequently destined for any other union member state and businesses would claim back any tariff rebates from the Government if the goods stayed in the UK. Officials believe such a partnership could "solve" the Irish border question as there would be no hard customs border between the UK and the EU; it would also help the many British businesses that only export to the EU. Alternatively, the second option under discussion was the "maximum facilitation" or a "highly streamlined customs arrangement" favoured by Boris Johnson and other leading Brexiteers. Under the "maxfac" model any customs checks needed at borders between the EU and the UK once Britain has left the EU would be as friction free as possible and would in part be operationally based on arrangements Britain already has with non-EU nations. Technology and trusted trader status licences would be used to smooth the flow of goods and services. The big difference between these two solutions is cost. The Chief Executive of HM Revenue and Customs said firms would have to pay around £32.50 for each customs declaration under the so-called "max fac" solution which could cost businesses up to £20bn a year, which is higher than the £13bn UK contribution to the EU in 2016. In contrast, the customs partnership option - which has been described as "crazy" by Boris Johnson and "flawed" by Michael Gove - would cost business a maximum of £3.4bn a year - depending on how much firms chose to claim back in differential tariffs. With such a conflict of views and ideas it was not surprising that later in the month, the Brexit select committee said the government could be forced to stay in the EU's customs union beyond 2020 if it cannot agree new arrangements. The Brexit select committee said that in the absence of another plan, extending the current arrangements "will be the only viable option". While all this was going on a group of major European companies met with Theresa May and Brexit Secretary David Davis. Business leaders, including representatives from BP, BMW, Nestle, and Vodafone, told Theresa May that "time is running out" and warned that they may cut investment without more clarity over the terms of Britain's EU exit. They said a trade deal with the EU must be "frictionless as with a customs union". The group, known as the European Round Table of Industrialists (ERT), represents Europe's 50 largest companies, with combined revenues of 2.25 trillion euros (£2tn) and millions of employees. Meanwhile the Scottish and UK governments were at odds over the EU Withdrawal Bill and what it could mean for devolved powers. MSPs voted by 93 to 30 that Holyrood "does not consent to the European Union (Withdrawal) Bill". According to the BBC, Westminster ultimately has the power to introduce the legislation without the consent of Holyrood - but it would be politically difficult, and has never been done before. Not surprisingly, Philip Hammond's speech at the European Business Summit 2018 in Belgium was deliberately upbeat and as an ice-breaker started off with a reference to Eurovision. "Britain is leaving the political institutions of the EU; but it is not leaving Europe. And British prosperity is, and always will be, closely bound to European prosperity." The date when phased transition ends for the new Customs Declaration Service. 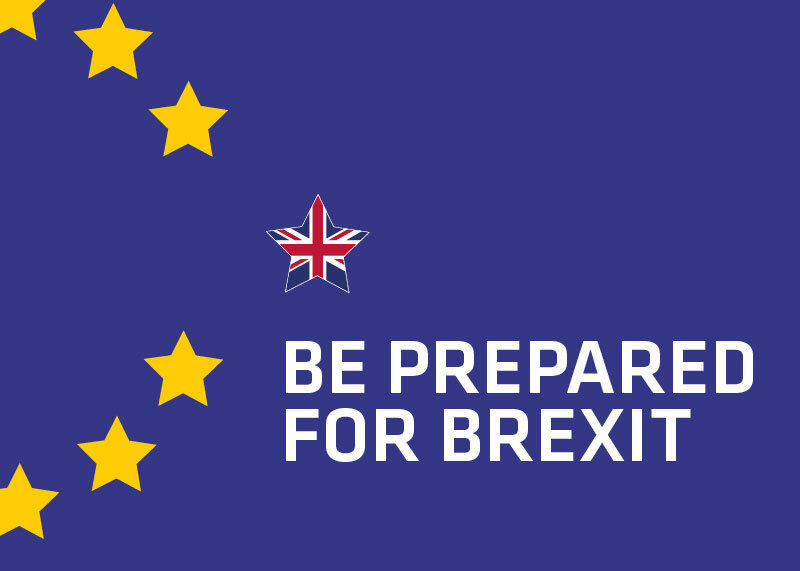 For more information about how Warrant Group can help your business prepare for Brexit, contact Andy Simpson, Head of Business Development.